Our Mission Youth group was able to collect 170 action packets from their local Pakistani church and community to distribute among to the poorest of the poor. 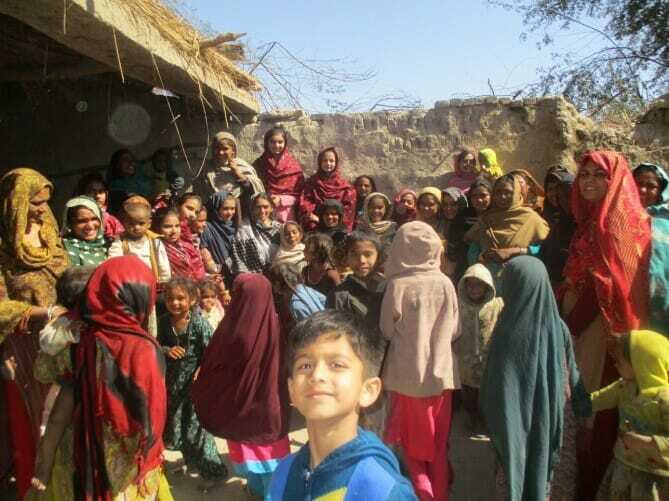 30 Packets were distributed in one village among families working in brick factories; 80 packets were distributed in another village among schedule caste tribes (Outcastes) and 60 packets went to different desert villages in South Pakistan. One day the youth group reached a desert village by special jeeps and riding on camels. It was a village of approximately 100 families living in huts. The village had only one well of bitter water. The entire village fetched water from that well by camelback. We spent the night in that village to observe the pain and hardship these villagers are facing. They have been ignored because of their sect, poverty and ignorance. Our youth group held a special meeting with young children and a story-telling time with adults. They prepared a special story of the Good Samaritan and told the tribe how much Jesus loves them. After the story, they distributed the packets. It was an unforgettable scene to see the appetite of the people for the Word of God.